“Song of the Daugava River” is an exhibition dedicated to 95th anniversary of the Republic of Latvia. 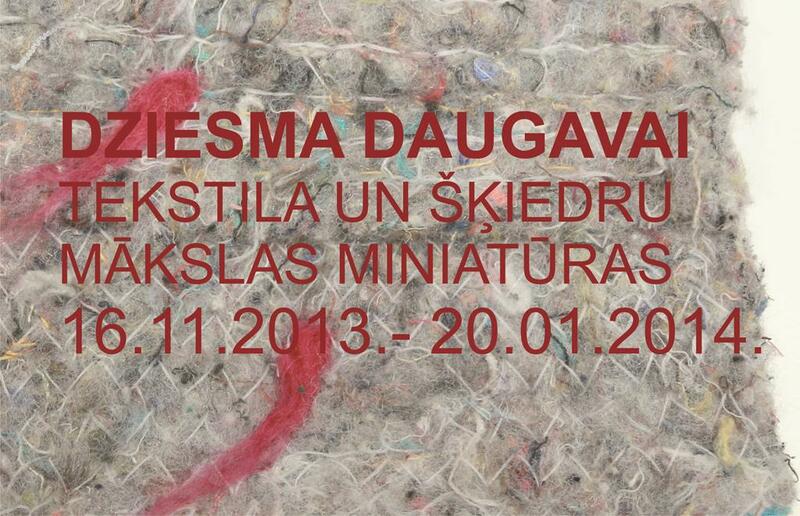 While creating the exhibition, artists were invited to participate with the textile and fiber art miniatures that are both dedicated to Latvian Destiny River Daugava, as well as inspired by it. Creating the works, artists used a wide range of textile and fiber materials, beginning with traditional materials such as linen, wool, cotton and ending with a variety of synthetic and natural materials. The processing techniques of the materials have been applied in a various ways; there are woven and batik works, glued collages, basketry and other individual author’s techniques. Miniature as a genre is quite challenging. It requires the skills to make a balanced combination of author’s artistic concept and the work dictated by technical skills. Moreover, in this case, the task is complicated by the power of the Daugava, which is both strong natural embodiment and the symbolic image of the Latvian nation deeply rooted in the collective consciousness.